Viljandi, 29 June 2016. 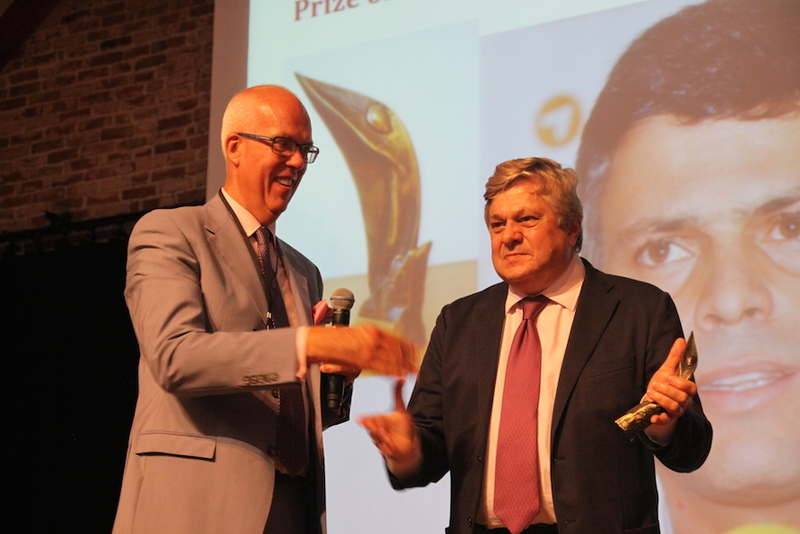 The Prize of the Platform of European Memory and Conscience 2016 was awarded yesterday in Viljandi, Estonia to the imprisoned Venezuelan opposition leader Mr Leopoldo López, in the presence of the Minister of Justice of Estonia, Mr Urmas Reinsalu and former President of Lithuania Prof. Vytautas Landsbergis. The father of the laureate, Mr Leopoldo Lopez Gil, accepted the Prize for his son who is being held in solitary confinement in the military prison of Ramo Verde. In September 2015, Mr Leopoldo Lopez was sentenced to almost fourteen years of imprisonment in what is being internationally regarded as a politically motivated trial. Mr López, formerly a successful and popular mayor the Chacao district of Caracas, has been leading an opposition movement to the marxist populist government of Hugo Chávez and his successor, Nicolás Maduro. At the ceremony at the opening of the conference “Totalitarianism, Deportation and Emigration” yesterday, Mr López’s father spoke about the distressing conditions in Venezuela, the shortages of food and medicines. “We call upon the international community to ask the Venezuelan government about the current situation and well-being of Mr Leopoldo López and other political prisoners in the country,” says Platform President Göran Lindblad.